Ships tomorrow if you order in the next 16 hours 16 minutes. Is your life being interrupted by too much irregularity and discomfort? 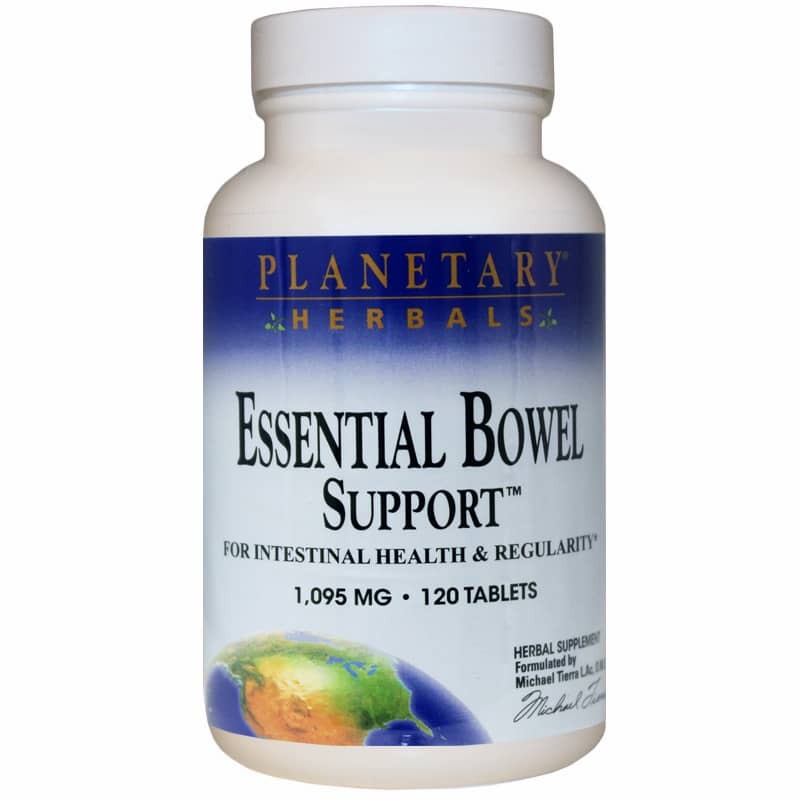 Maybe it's time to get real about regularity with Essential Bowel Support from Planetary Herbals. 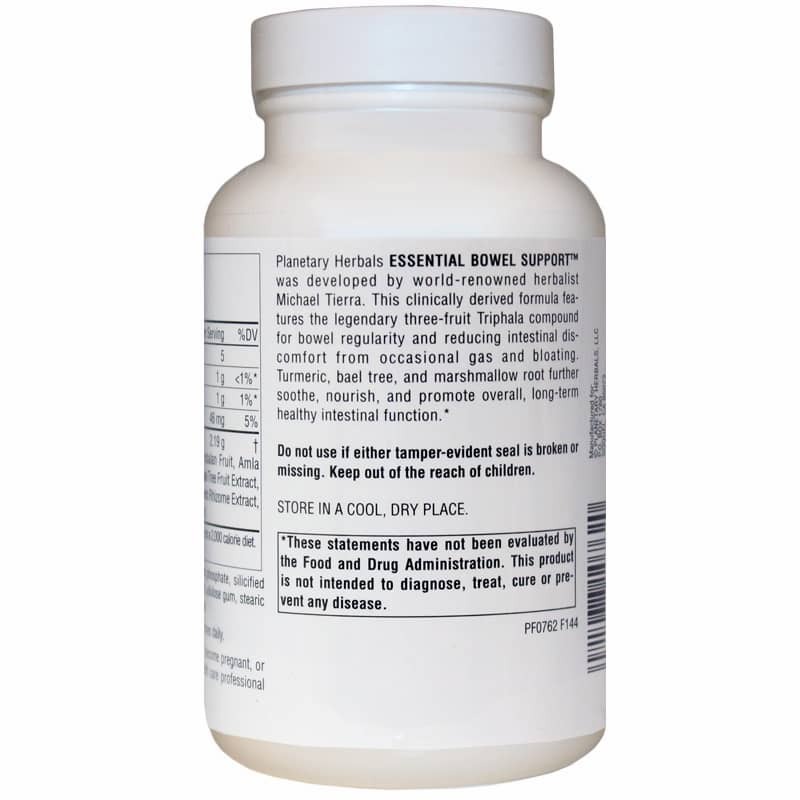 Essential Bowel Support is an herbal supplement developed by world-renowned herbalist Michael Tierra to support intestinal health and regularity for less discomfort. Featuring a powerful, clinically derived proprietary blend of herbs, Essential Bowel Support contains the legendary, three-fruit Triphala compound, which includes chebulic myrobalan, amla and belleric myrobalan. These exotic fruits provide support for bowel regularity and less intestinal discomfort from gas and bloating. And with the natural herbs turmeric, bael tree and marshmallow root, Essential Bowel Support even gives you soothing nourishment to support long-term healthy intestinal function. Get back your regularity and health the natural way. Order Essential Bowel Support today. Other Ingredients: dibasic calcium phosphate, silicified microcrystalline cellulose, modified cellulose gum, stearic acid, silica, and magnesium stearate. 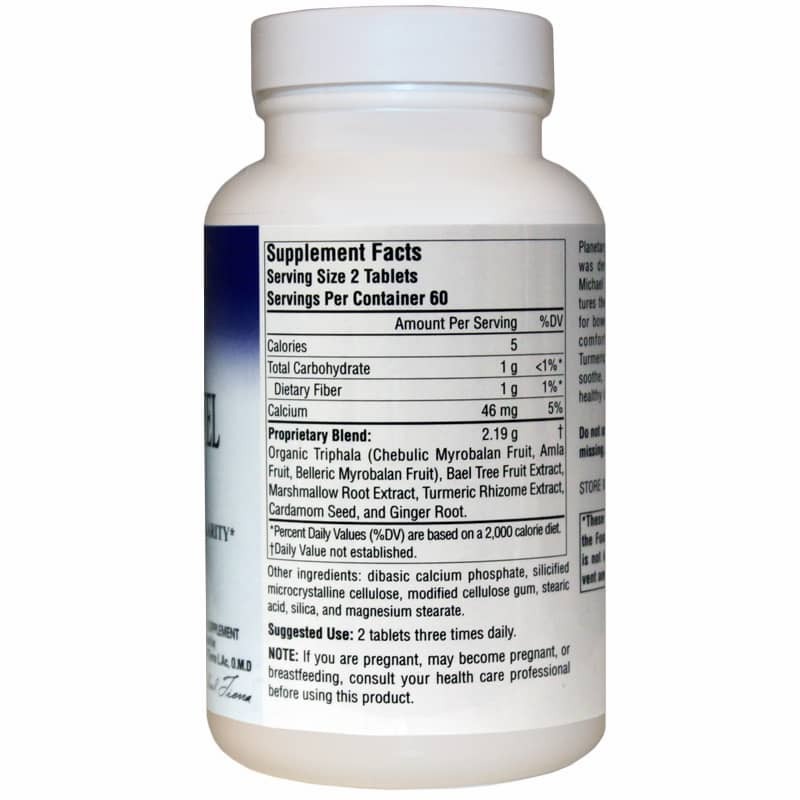 Adults: 2 tablets three times daily. If you are pregnant, may become pregnant, or are breastfeeding, consult your healthcare professional before using this product. Keep out of the reach of children.